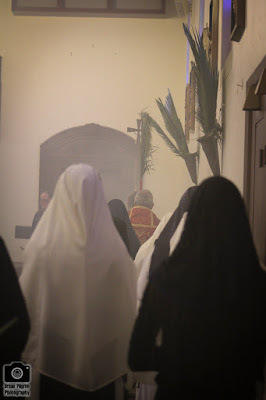 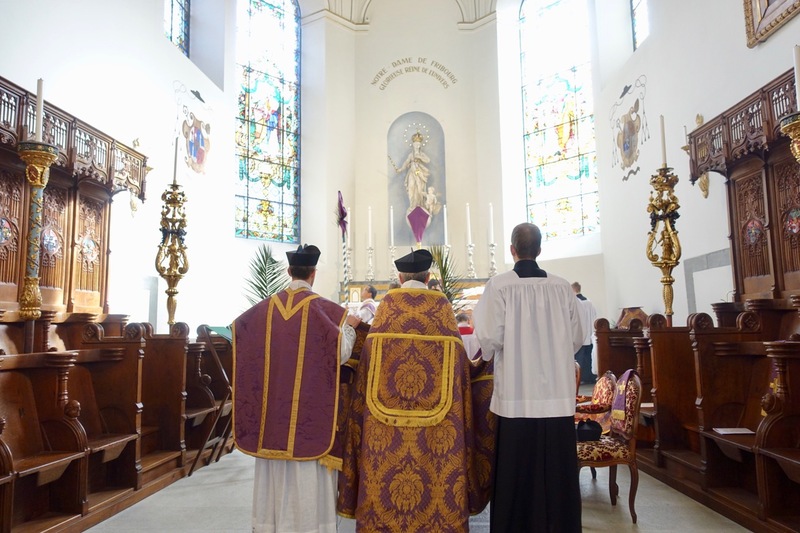 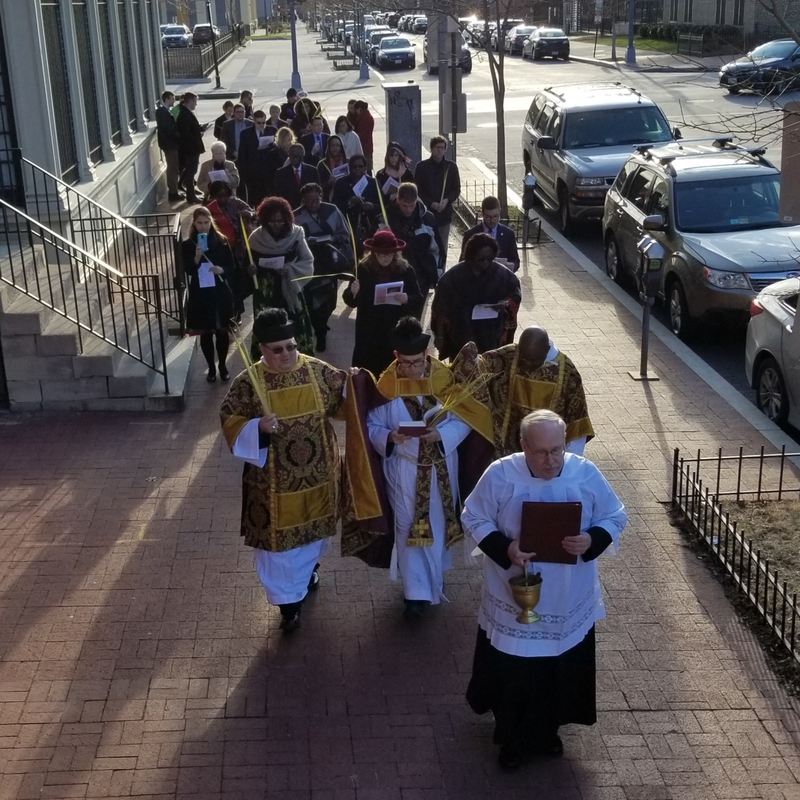 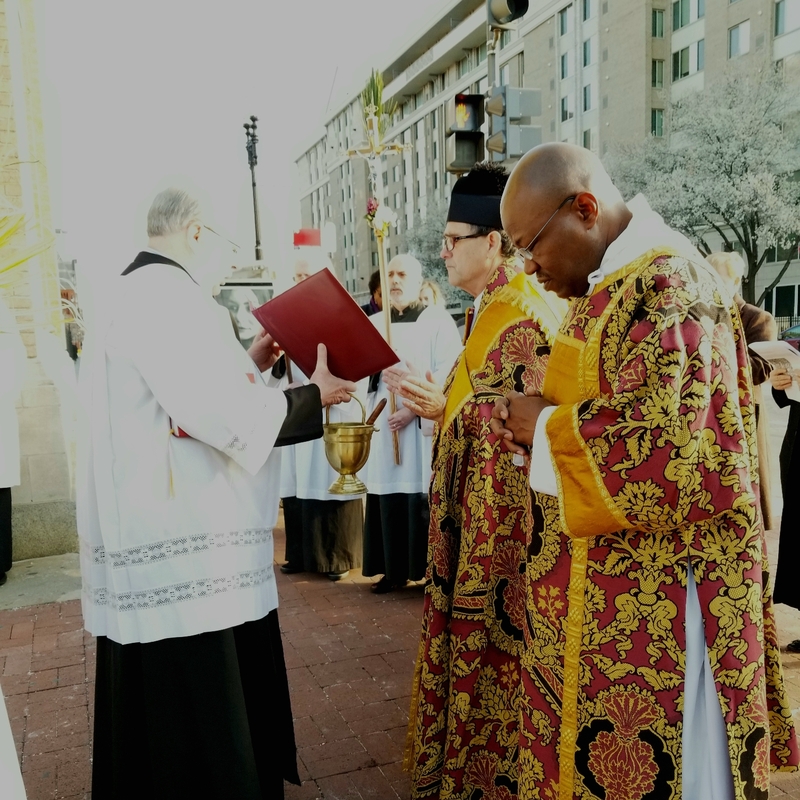 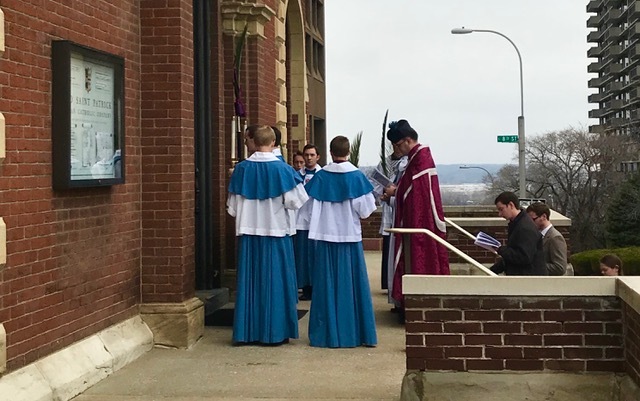 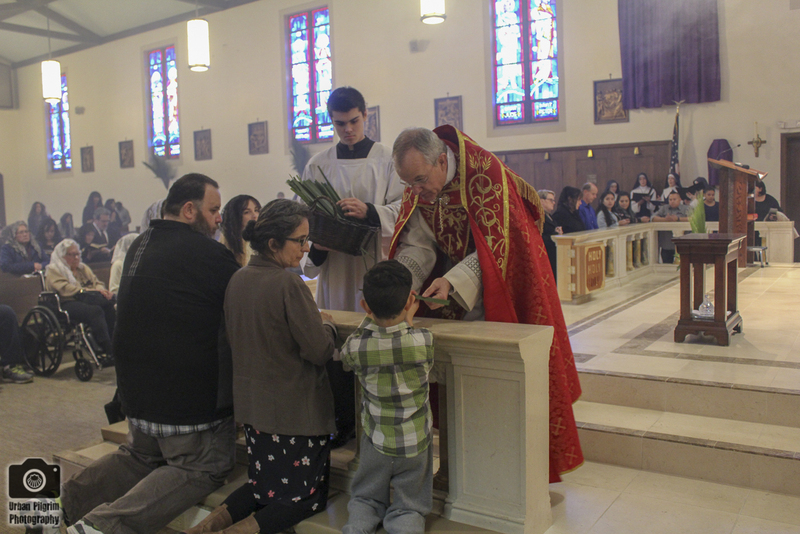 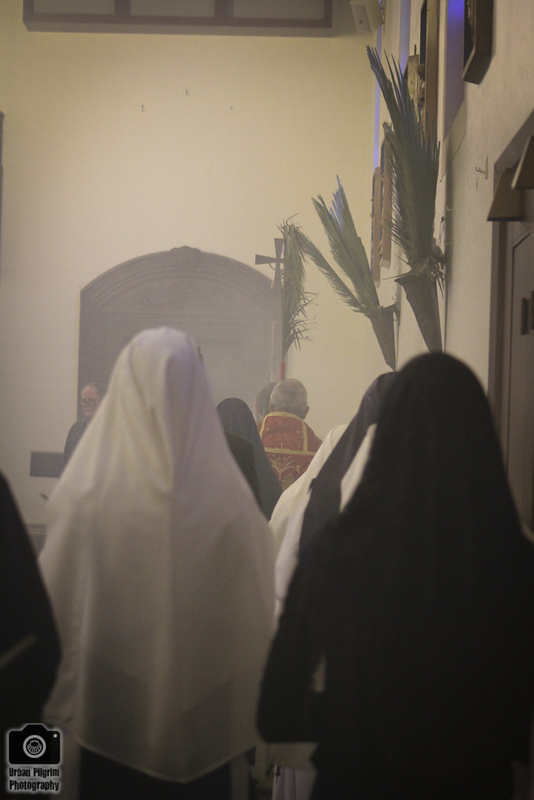 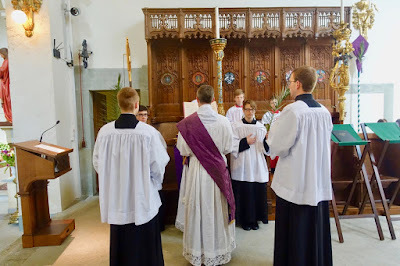 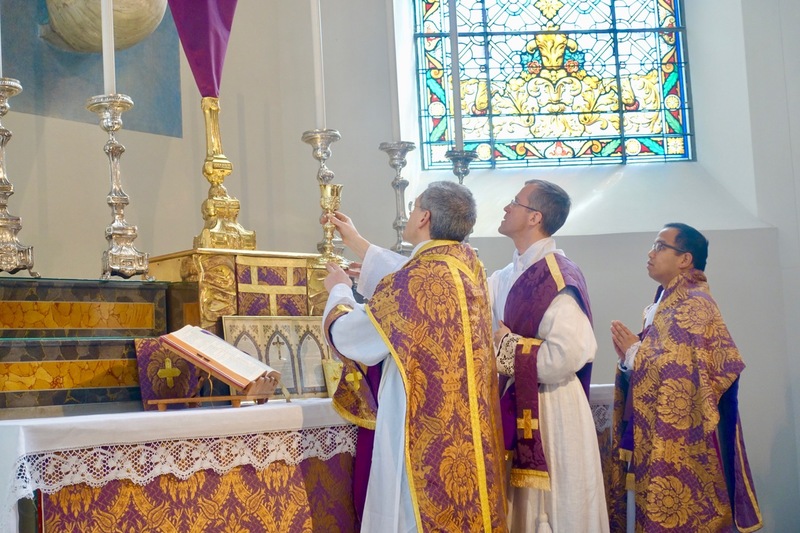 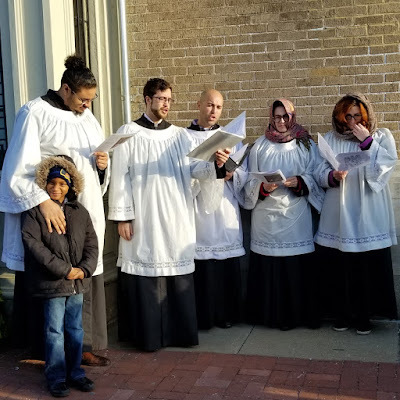 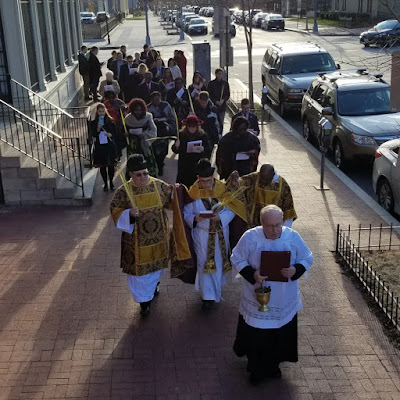 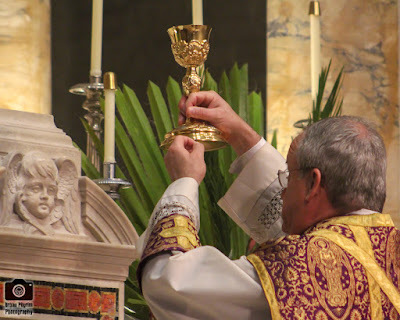 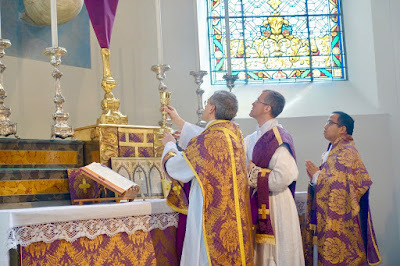 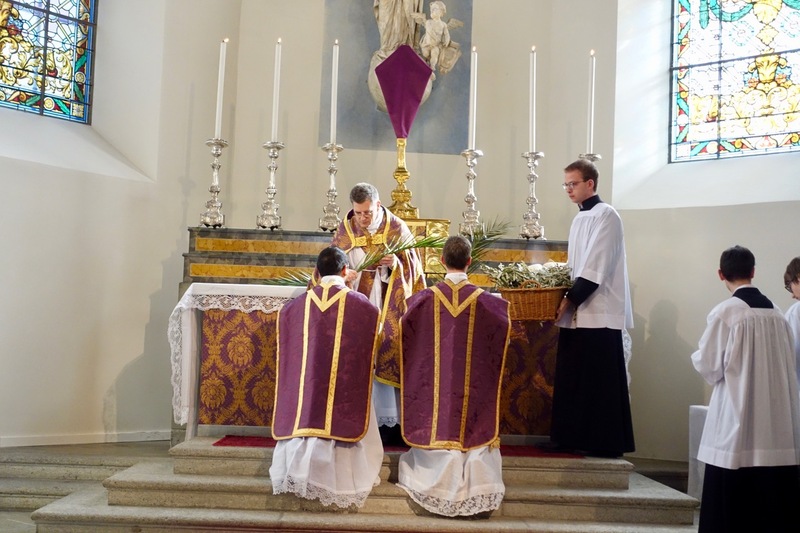 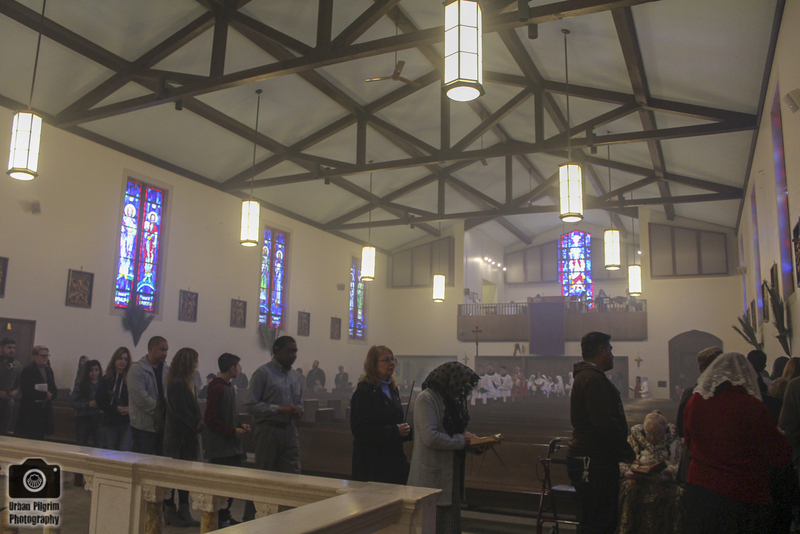 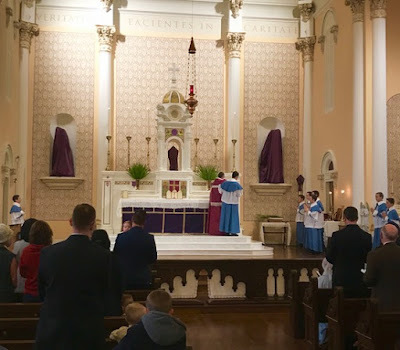 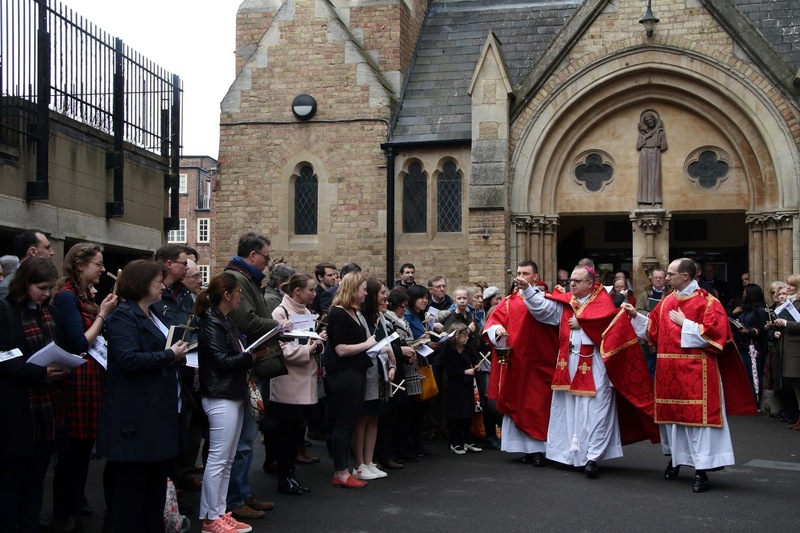 Like our first two Palm Sunday photoposts, this one also shows very beautifully the richness of our Catholic liturgical tradition; once again, we have pictures of the EF in its pre- and post-Pian forms, the OF, the Ordinariate Use, and the Ambrosian and Byzantine Rites. 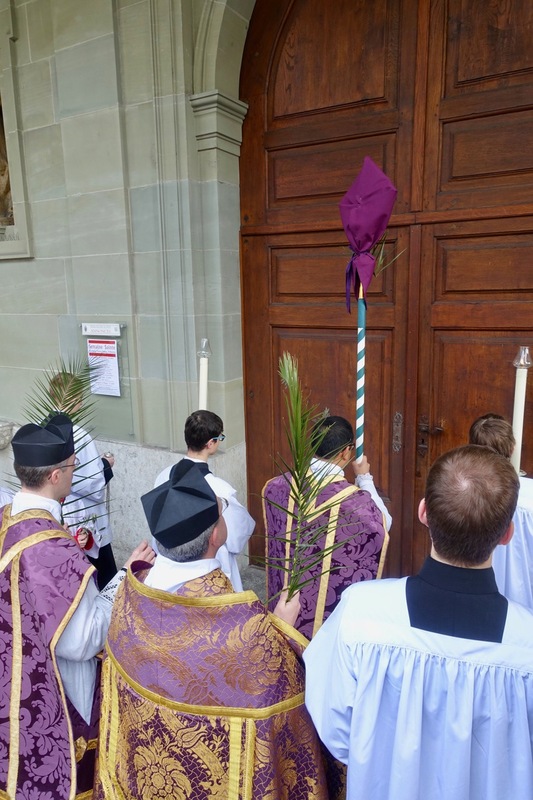 There will be a fourth Palm Sunday post, and then we will get started on the rest of Holy Week, so if you haven’t seen yours yet, know that they will be posted. 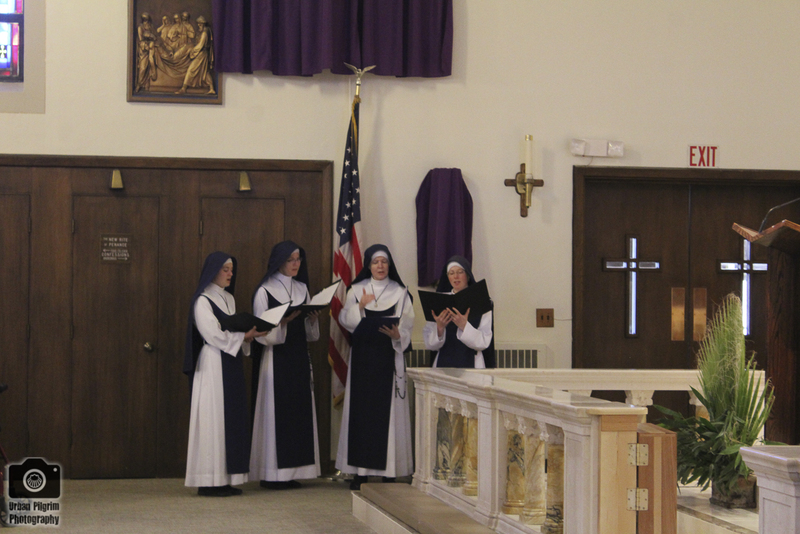 As always, we are very grateful to everyone who sent these in! 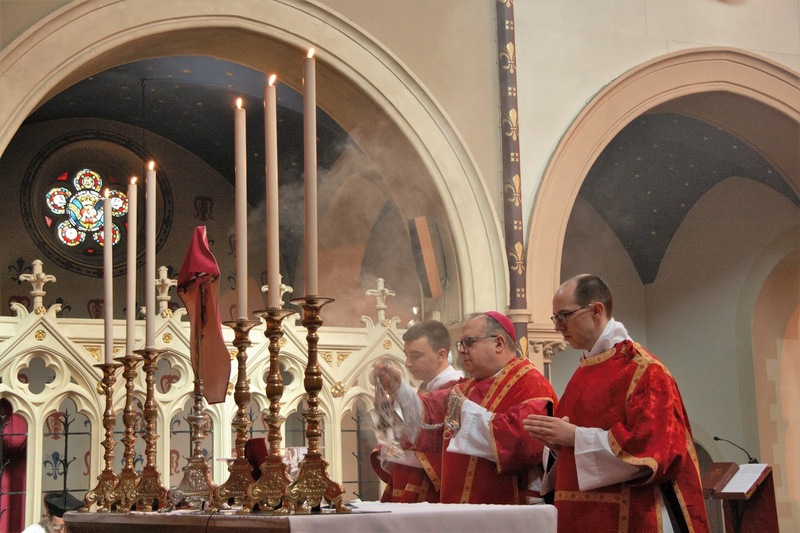 In the Ambrosian tradition, red is the color of mourning, and is therefore worn for all the ceremonies of Holy Week, including Holy Thursday and Good Friday. 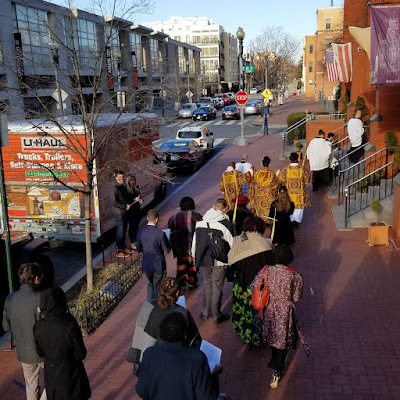 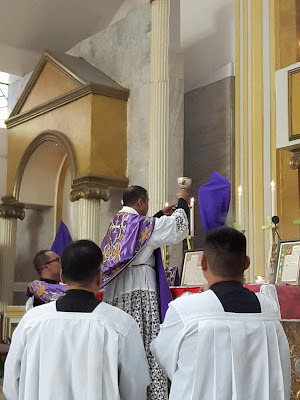 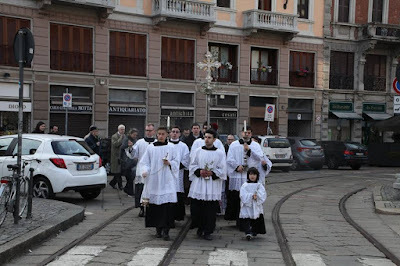 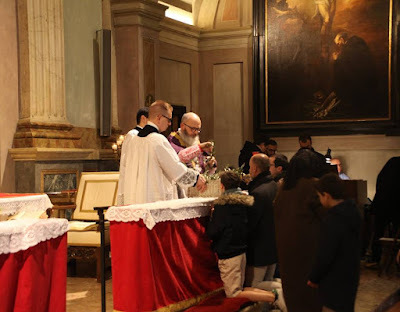 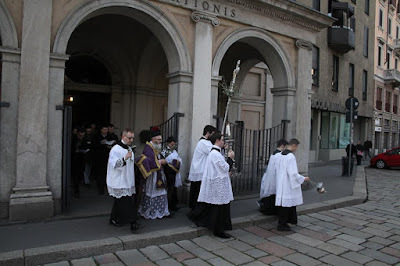 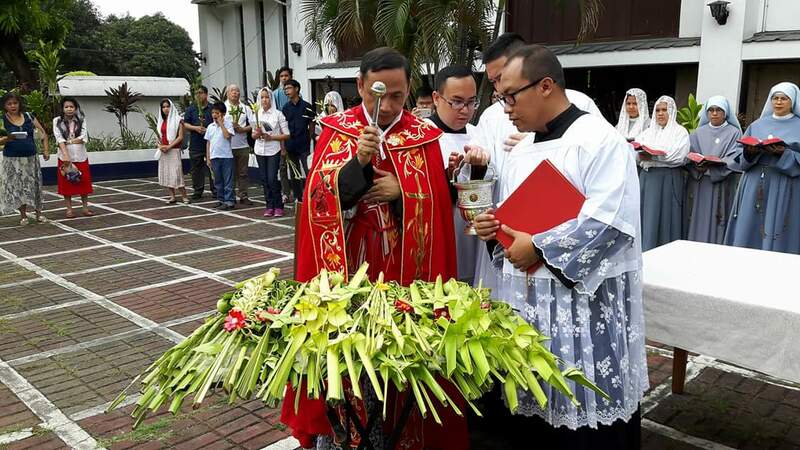 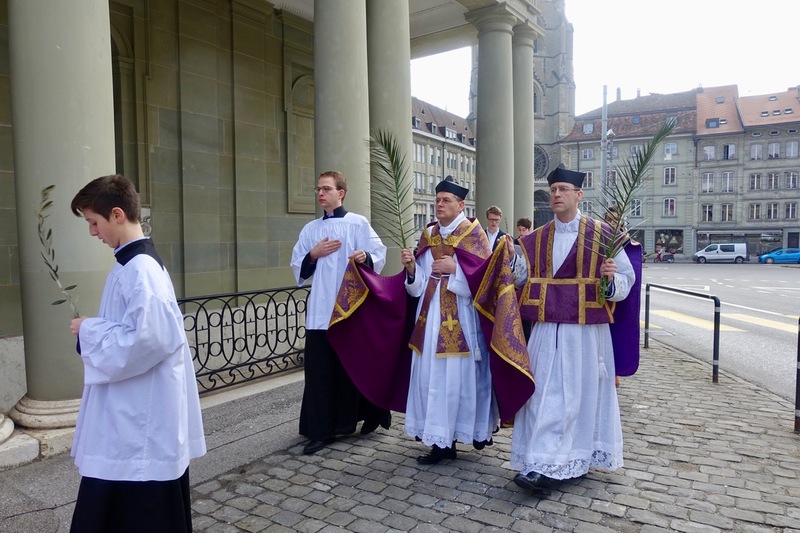 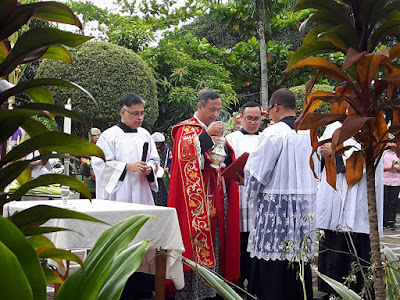 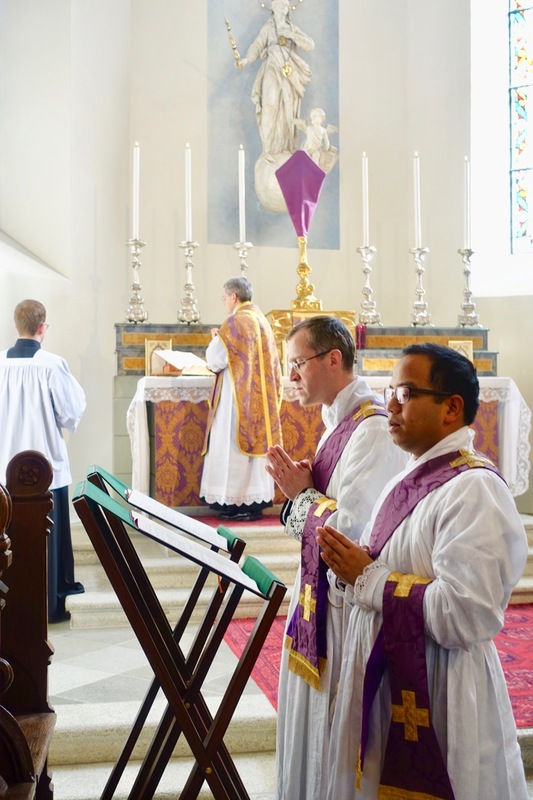 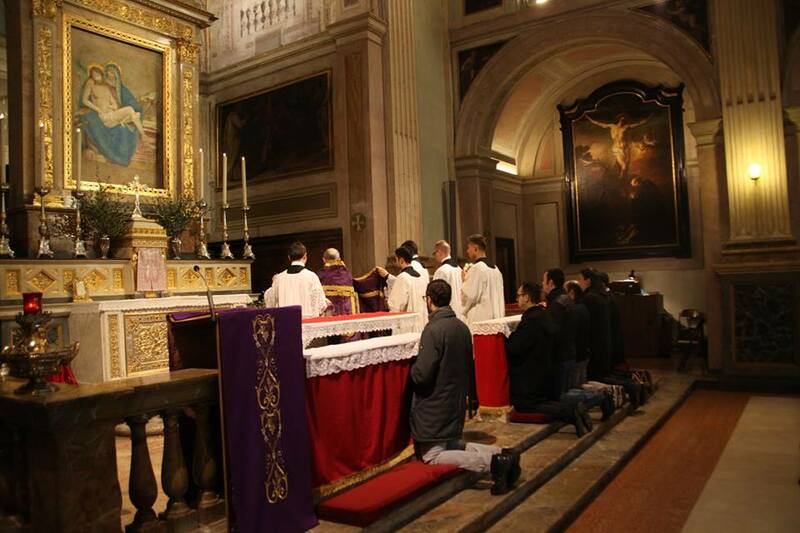 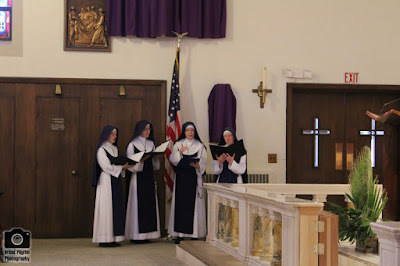 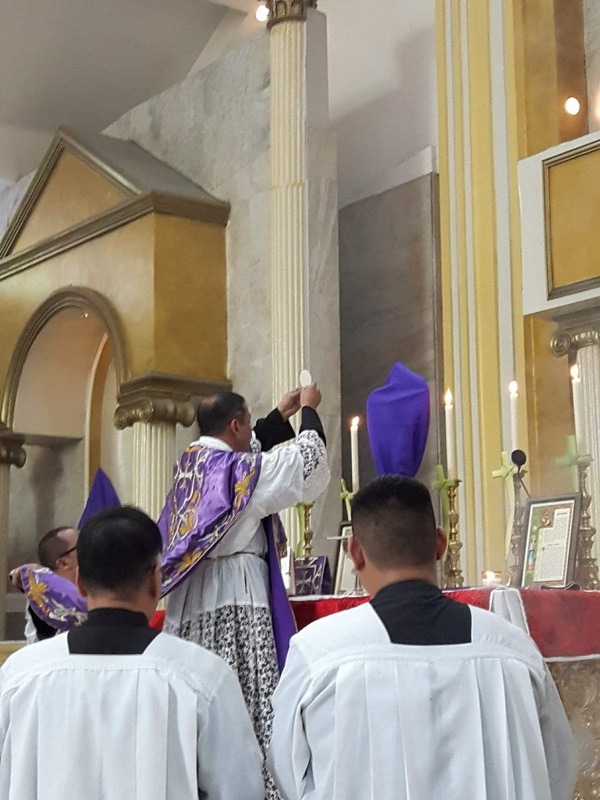 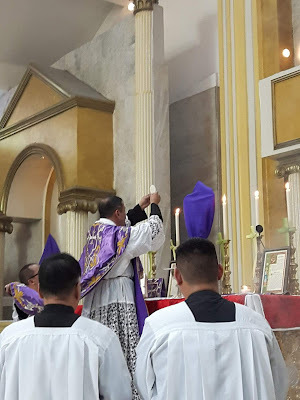 The blessing of palms and the procession are done in penitential violet, since processions are always treated as penitential ceremonies in the West. 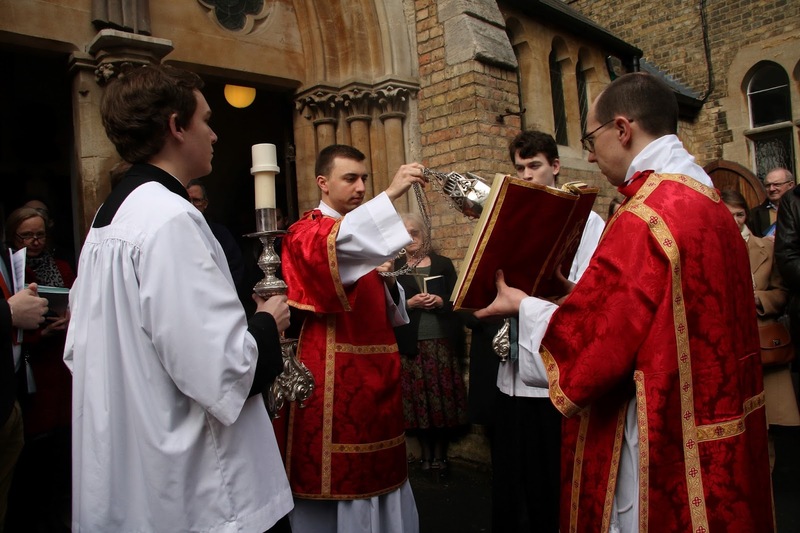 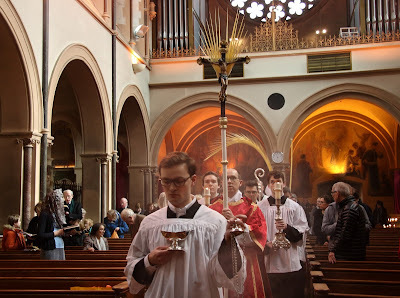 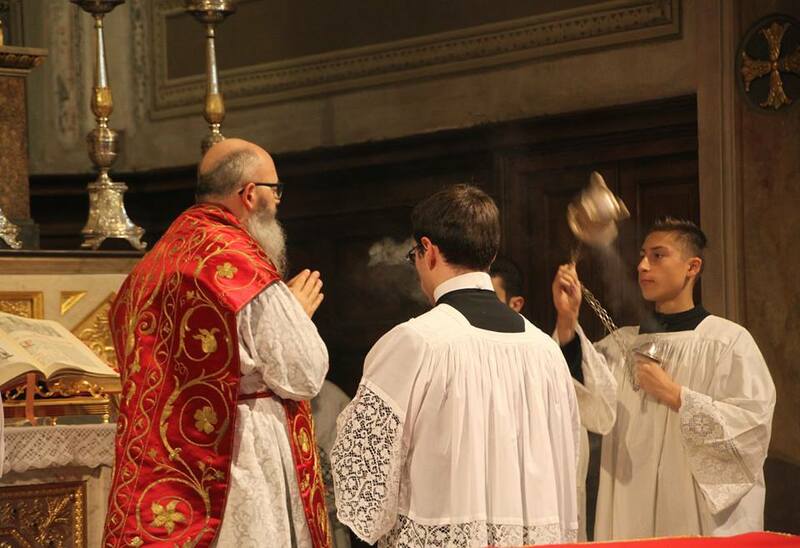 Kudos to the photorapher for perfectly capturing the swing of the Ambrosian coverless thurible! 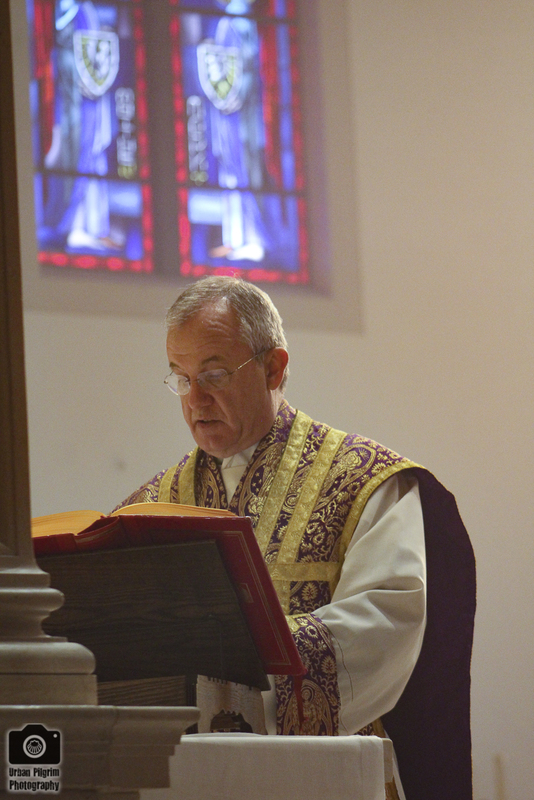 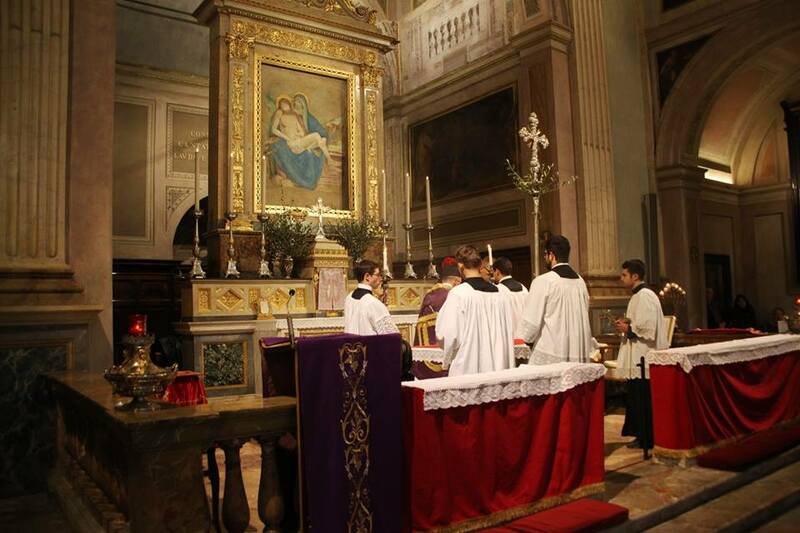 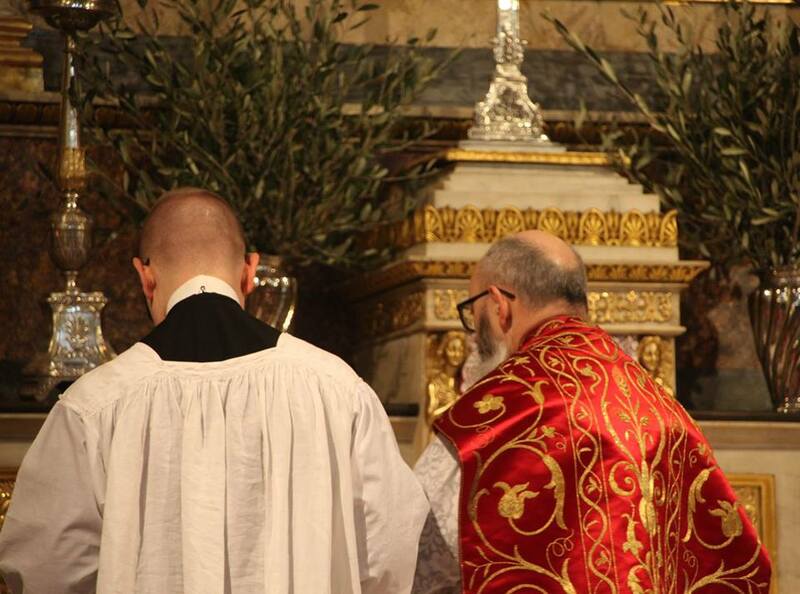 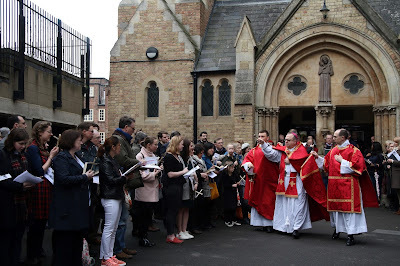 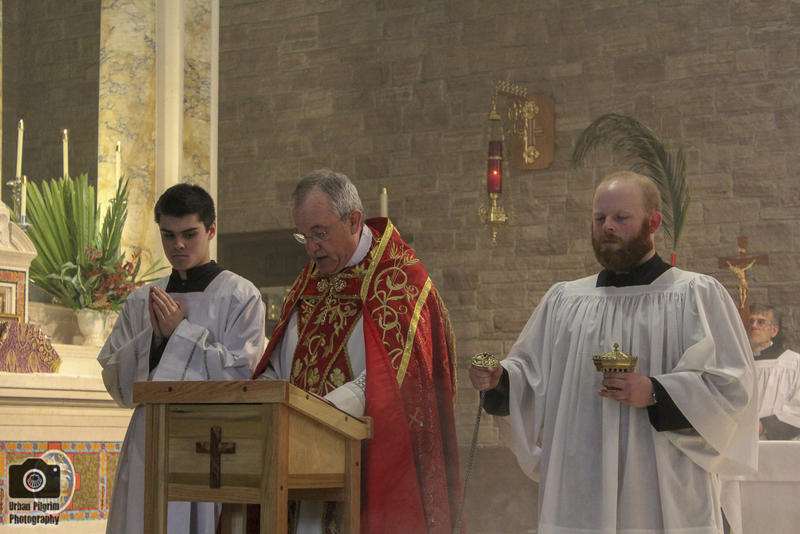 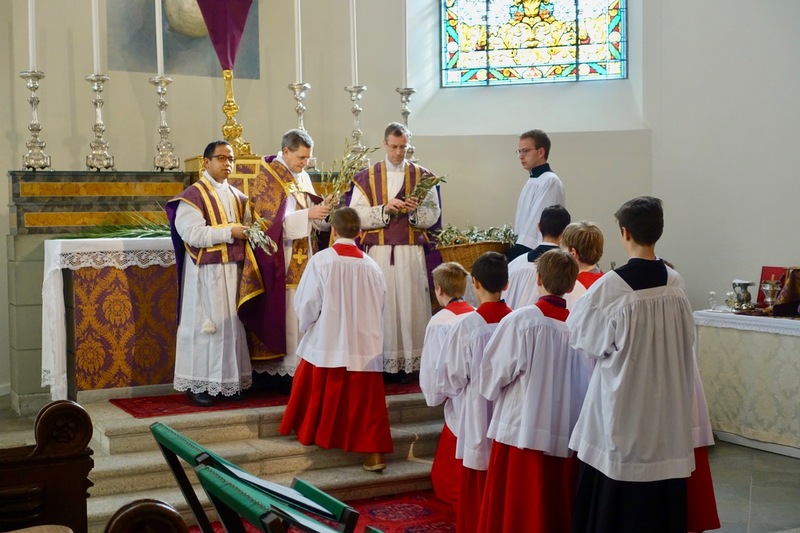 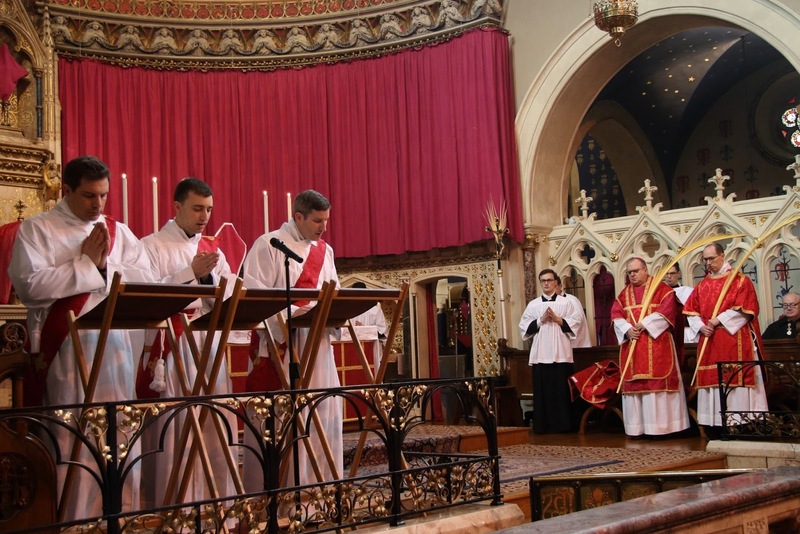 OF Pontifical Mass celebrated by His Excellency Robert Byrne, founding provost of the Oratory, now titular bishop of Cuncacestre and Auxiliary of Birmingham, England.